I used my emboss batik fabric which I brought from Indonesia on my last visit last July. 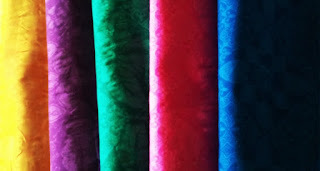 I love the vibrant colors of this batik. I did FMQ too!!! This my second serious try. I just moved the fabric without following any design and realized I should PRACTICE more. I really want to do in a bigger quilt. I've done my second custom order of big summer quilt. This one is 84" x 102". 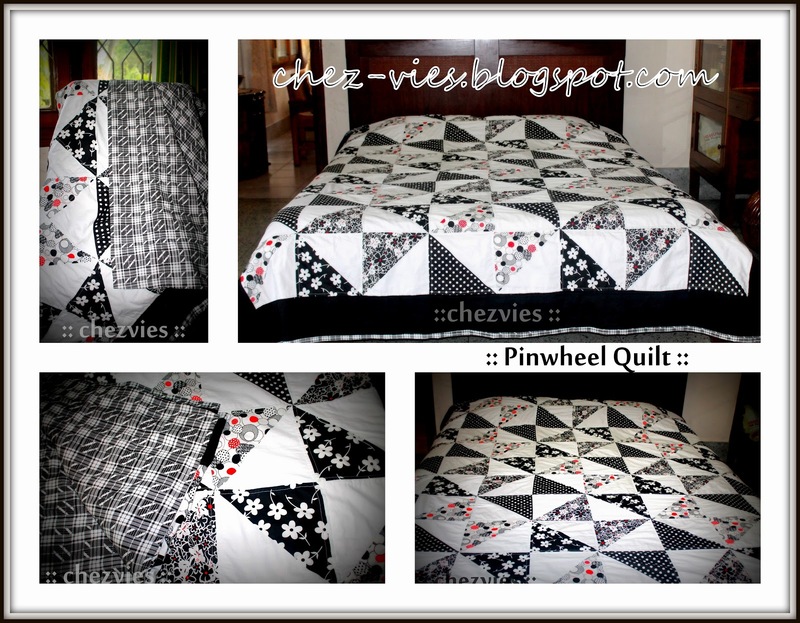 She asked for a black n white quilt for her son. 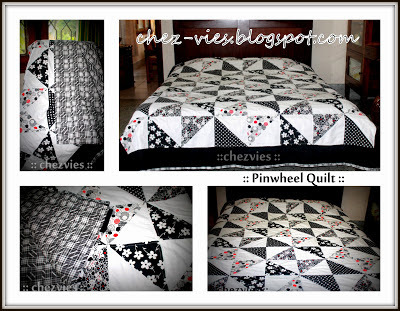 So, since I love Pinwheel, I made this one for him. They were very happy with this one and the Pink and Lavender one. In the end, a happy customer is the biggest reward. They really made my day. More photos available in my Google + Album. 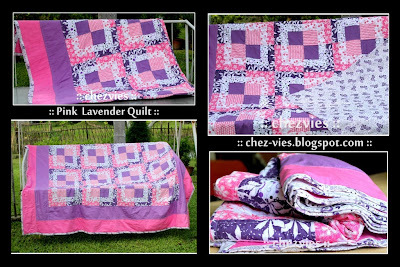 To see more about my quilt, visit my Facebook Page . Thanks for stopping by...until then.. The first Queen bee for the Sunny Bee at Desi Quilters is Bhavani. She wants us to make sunflower block and here's my block. I'm not very good with applique but I love doing it sometimes. For this one, I made the template according to Bhavani's instructions and cut off 9 pcs petals on the interfacing and ironed in on the fabric. I'm using Easy Applique Tutorial. 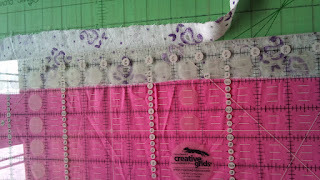 The starching part was really helpful and it really makes applique-ing a breeze. I thought of finishing it by hand but I didn't have much time in hand, so second best was using blanket stitch in my Bernette ^o^. Finally I did it!!. 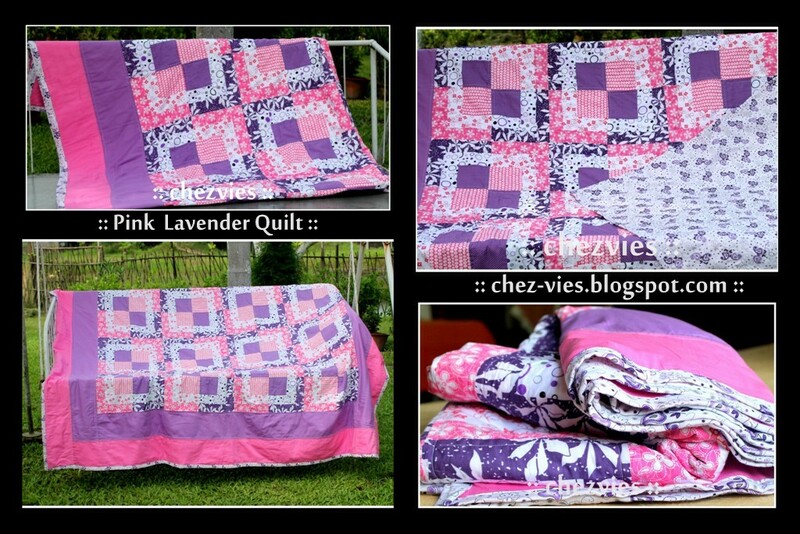 I'm so excited cos this is my biggest quilt so far. It measured 84" x 94". 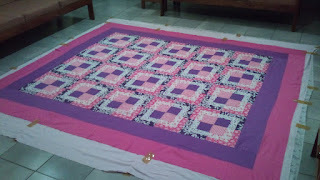 It takes rather long to finish cos I was not sure I can quilt such a big quilt in my home sewing machine =,=. She wanted in Pink and Lavender. I got the idea from one quilting magazine. It's basically a half log cabin block, I simply changed the arrangement of the blocks. Luckily, I got a matching lavender paisley fabric. It's lightweight cotton which become soft after washing. This time I learned that taping your fabric nicely really helps in making the quilting sandwich. It makes the pinning process easier. 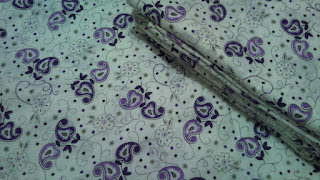 Since the quilt is quite big, I used a faux binding ^_^...yep, I bound the quilt from the excess of the backing fabric. It's quite tricky but I managed. 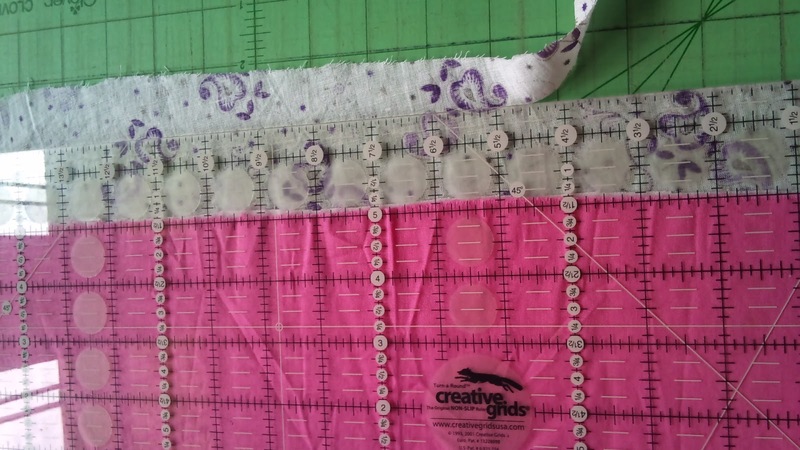 I guess this is the best binding option if you're making a big quilt. 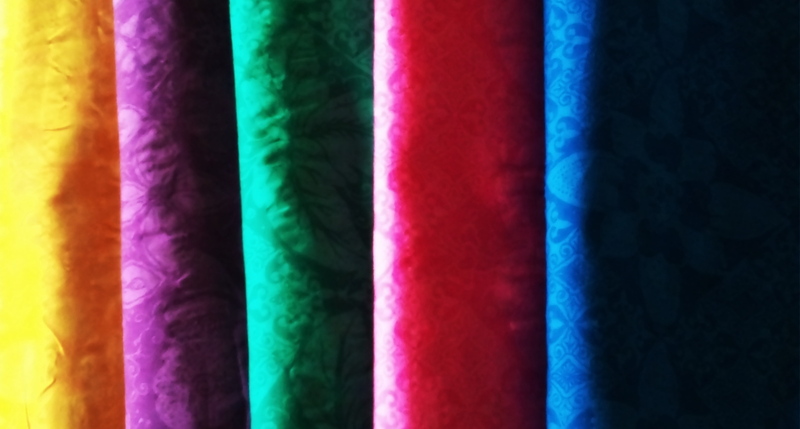 Get a matching or contrast fabric and voila you'll get an interesting binding ^_*.